CasinoBonusNews → Casinos → "Casino Splendido"
Casino Splendido as its name suggests, it is really splendid in terms of everything such as bonuses, promotions, games and other casino features. 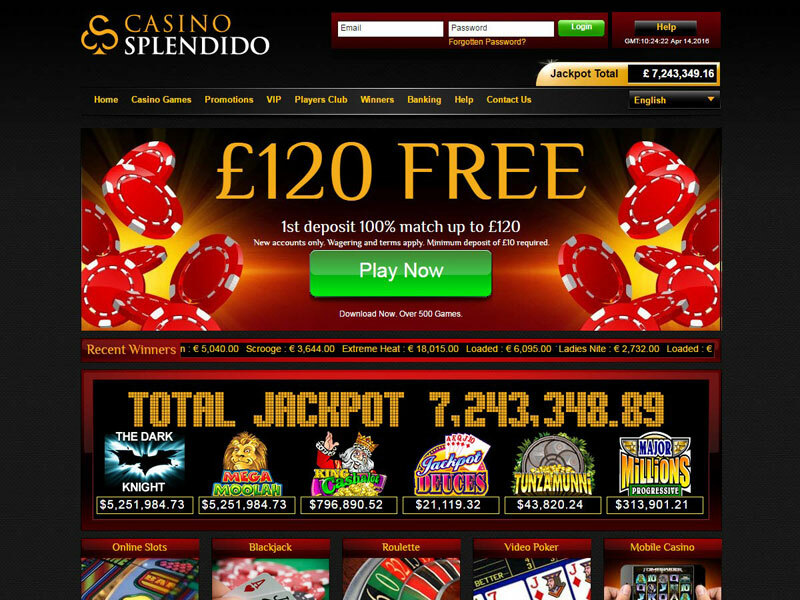 Casino Splendido was launched in the year of 2005 and since then it has been all the rage all around the world, which is obvious from the fact that it was awarded the best new casino award that very year only. This casino offers more than 250 games which include progressive slots, video poker, Reel, Card games, table games and many more exciting and thrilling games to play from. In addition, all these games are powered by Microgaming Viper software which gives a state-of-the-art graphics and sound effect. Besides them, the most attractive and fascinating thing about the Casino Splendido is that it launches four new games every month, therefore whenever you visit this casino, you will find something exciting and new to play. 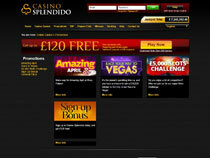 This casino offers various attractive bonus and promotion offerings to enjoy playing along with welcome bonuses. Recently, this casino is offering a 100% sign-up bonus up to $120 on the first deposit of $ 20 or more than this to all new casino players. What is great indeed in terms of the promotion is the 100% match bonus which you receive on your first deposit, but the condition is that you have to wager your whole deposited amount at once. This casino offers a reliable and secure banking system to their players, so that they can trust on this casino and play more and more. This casino makes use of the exclusive and encrypted devices for all banking transactions system. No matter, whether it is for depositing or withdrawing the money. Moreover, they offer various depositing options which are quite fast and easy to use and some of them depositing options are Citadel, Visa, eCheck, Payspark, Mastercard, UseMyBank, Neteller, MoneyBookers, Firepay, and Click2Pay. You can make deposits Canadian Dollars, US dollars, British or Euros Pounds. 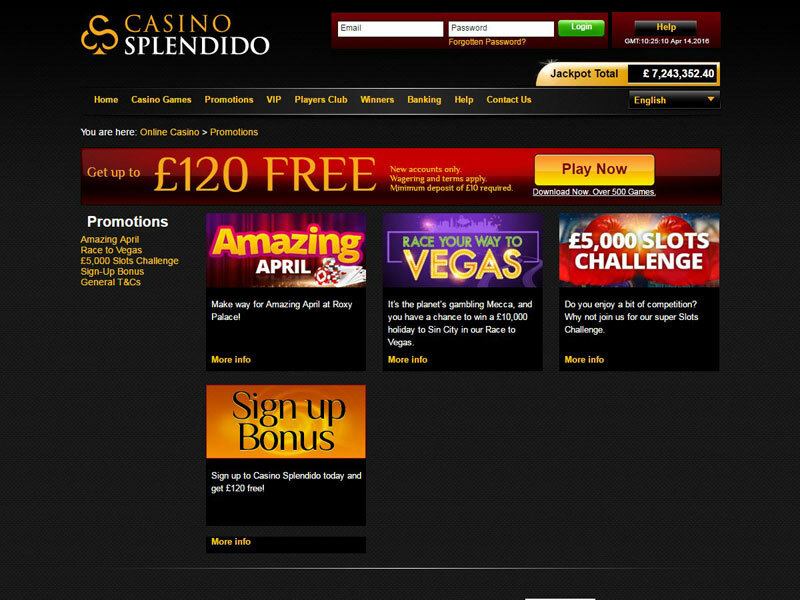 Actually what makes the Casino Splendido so popular is its reliable and friendly customer support or service. Their customer care executives and teams are available for 24 hours a day and 7 days a week at the service of the players. This casino offers various languages such as Spanish, English, Italian French and German for the convenience of their customers. You can contact them via e-mail and toll-free phone number to ask any problem. 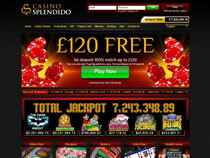 Overall, Casino Splendido has an edge over the other online and land-based casinos. Therefore, this casino is the perfect place to play and enjoy various popular and innovative games as it offers you excellent Microgaming Viper software with superb graphics and diversity, thereby delivering you the real experience of gambling.